We believe architecture should bring people together. 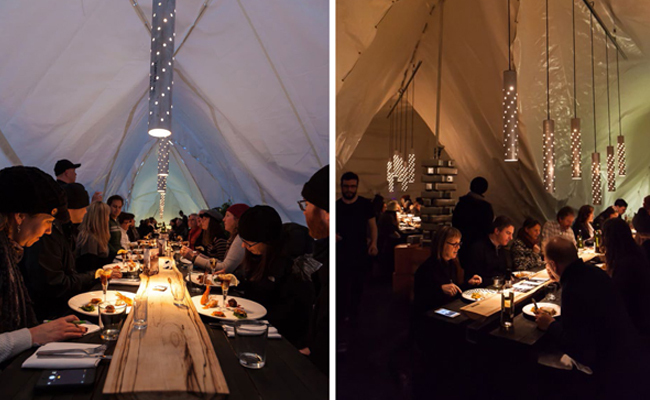 Won through an international competition this Pop-up restaurant on a frozen river fed over 3000 people in its 3 week life. The project was about bringing people together to enjoy food, drink and conversation in an honest and open environment. 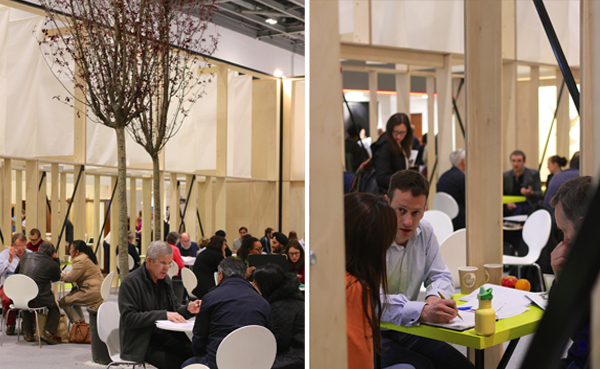 The Ask An Expert space at Grand Designs Live was won through a RIBA competition. It provides a space for the public to chat with professionals and gain free advice. 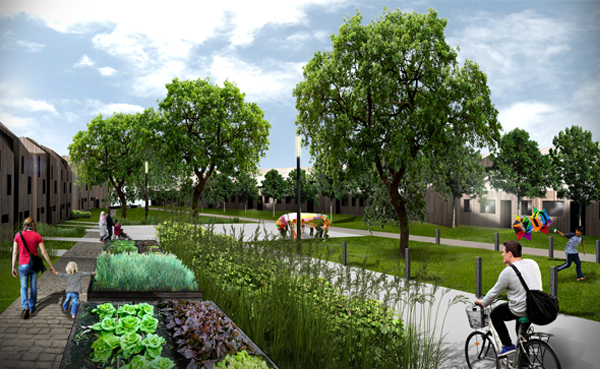 This project proposes a mixed use development of homes and retail flanking a communal and public garden space. 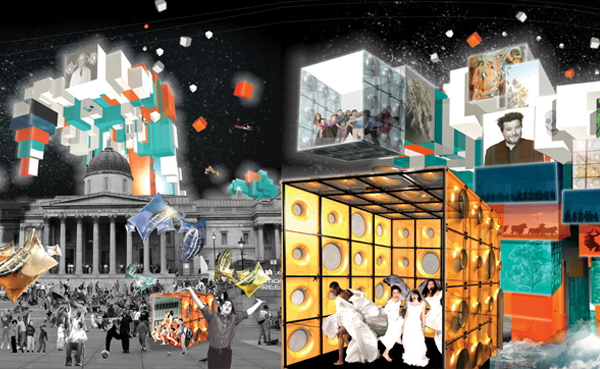 This project was shortlisted for the RIBA London Future Art Space competition. It imagined a series of accessible plug-in studios that grew organically and encouraged artistic collaborations. We finishing second in the invited competition for Phase 2 of Park Hill. 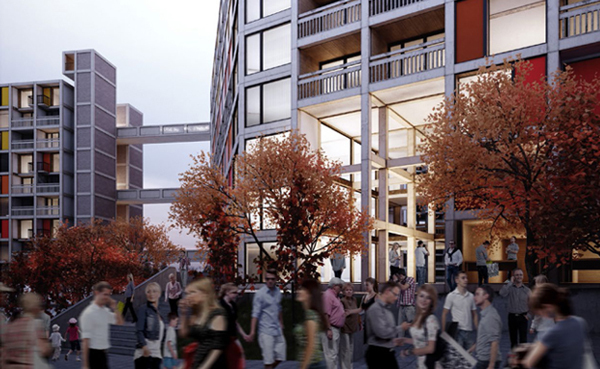 Urban Splash commended our social approach and strategy of linking the development to creative industries in the city. 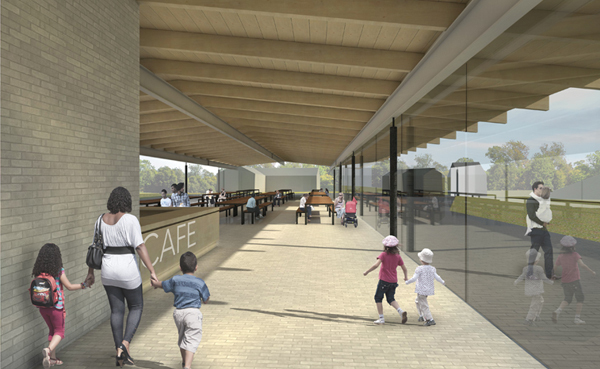 Our design for the Black Country Living Museum visitors' centre created an open and social space that connected a number of exhibits across the site.